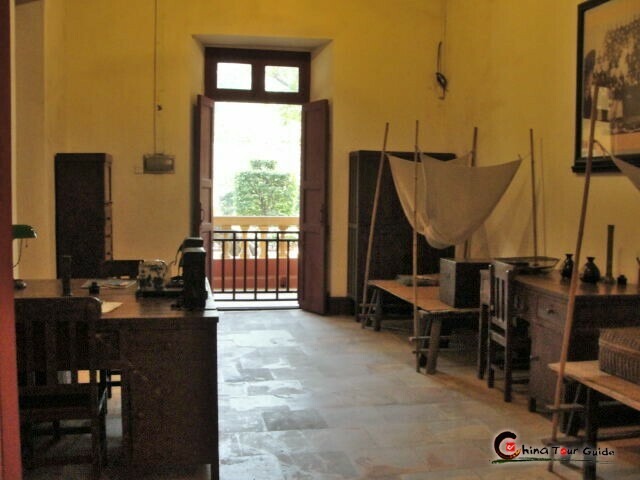 Among bulks of relics linked to Republican Revolution of 1911 and the later significant incidents in history of the Republic of China (1911-1949), Sun Yat-sen Generalissimo Mansion, together with the more famous Sun Yat-sen Memorial Hall and Huangpu Military Academy, opens visitors to the most insights into Dr. Sun Yat-sen and his great deeds. 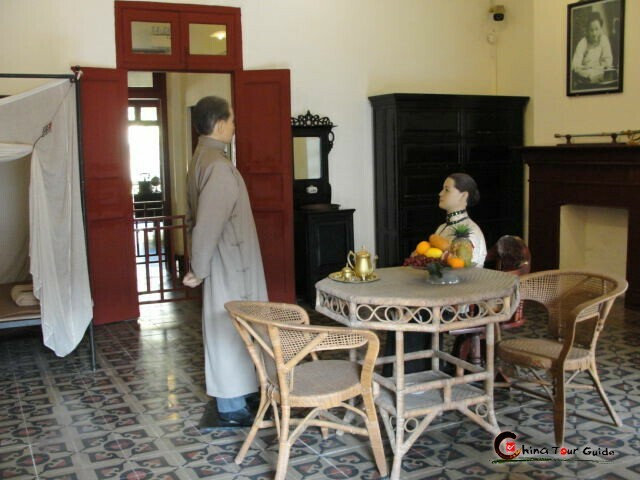 If visitors plan to know the way Dr. Sun lived and worked for the national affairs, they must probe into the Generalissimo Mansion where the layout is arranged in accordance with the original situations during 1917 to 1925 when Dr. Sun for 3 times established regime in Guangzhou. 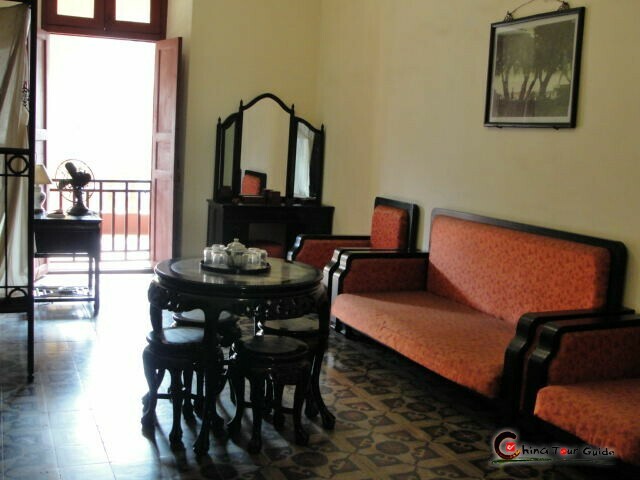 The Generalissimo Mansion is made up of North and South Main Buildings, both taking up 3 storeys, East and West Squares and the doorway. 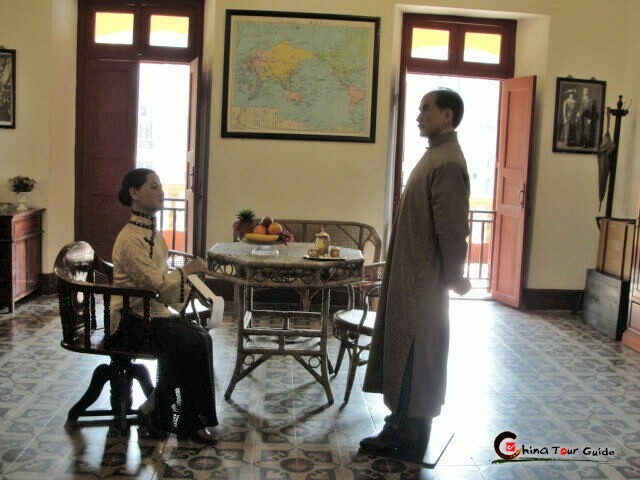 Visitors who haven’t been equipped with much understanding of Dr Sun’s lifetime fighting can spend 1 hour or so at the 6 exhibition rooms in North Main Building, studying the twisting bitter days when Dr Sun risked his life defending the state system and constitution of the Republic of China against large numbers of traitors of democracy and revolution. 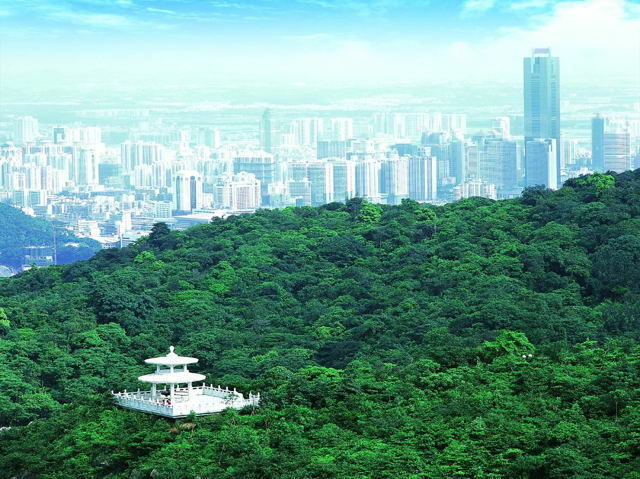 Those who can’t wait to gain face-to-face experience can go directly to the South Main Building. 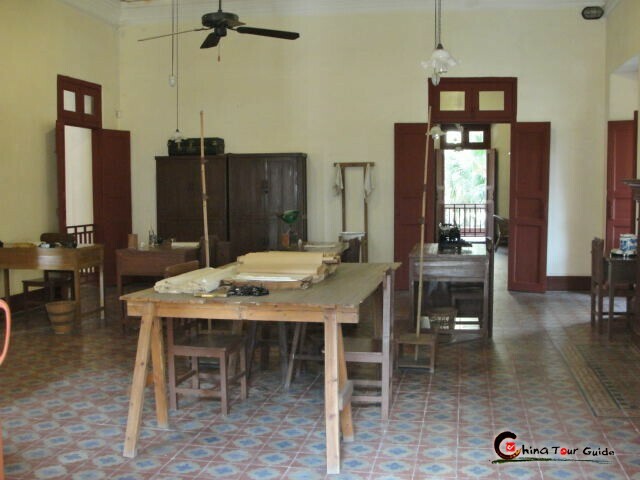 The 19 rooms in this building can be divided into three types, namely offices of military issues, offices of civilian service and rooms for Dr Sun’s private life. 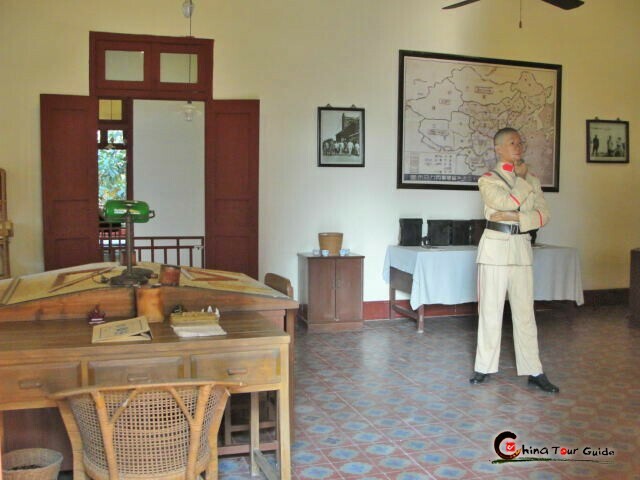 Visitors can see the array of tanned rifles in the Arms Stock, simply furnished Dorm of Guards where the guns, uniforms, basins, towels and beds with drawn mosquito curtains are displayed. 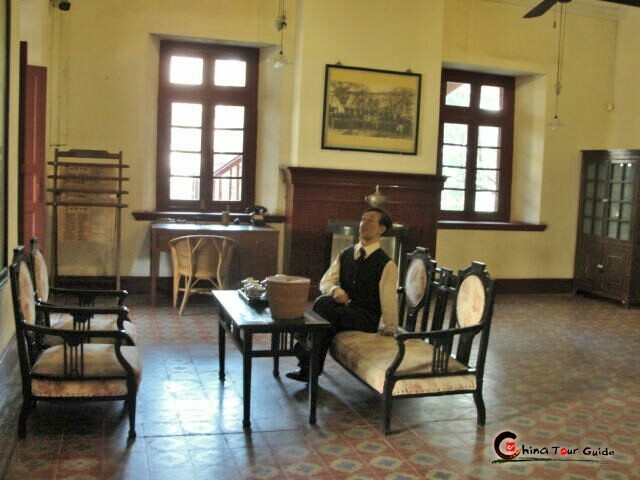 Stepping upstairs, visitors would further look into the Staff Section, Secretary Office, News Editing Room and the grant Conference Room. 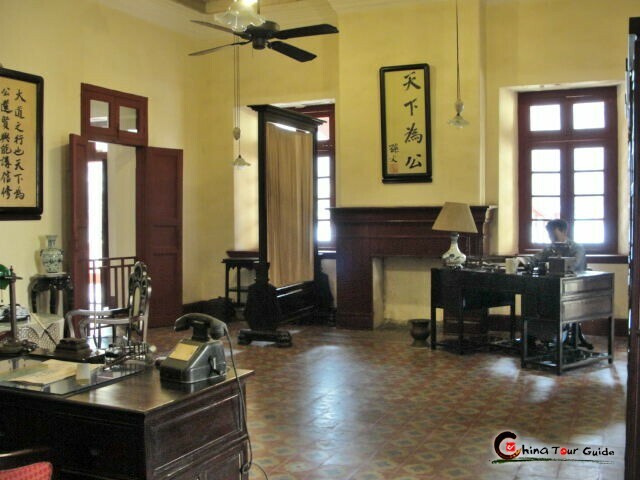 On the 3rd floor visitors finally find the office, bedroom, dining room, living room and washroom for Dr Sun and his wife Soong Ching-ling (Rosamond Soong). 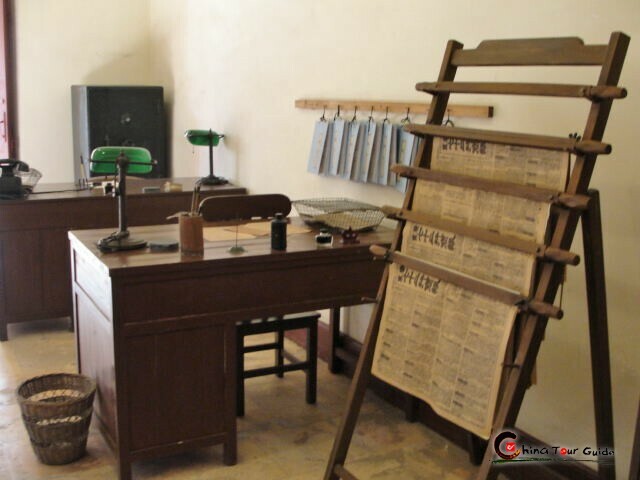 Though covered with a thin layer of dust, these old desks, chairs, stationery, documents and yellow newspapers still show the tough times when Dr Sun and his colleagues kept struggling fearlessly for the safety and development of the newly-founded republic. 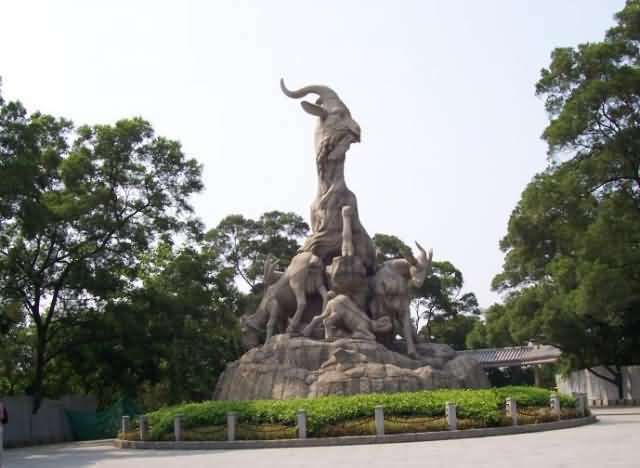 Big names like Dr Sun, Soong Ching-ling, Chiang Kai-shek and Liao Chungk’ai are shown to visitors in vivid form of high molecular silicone statues. 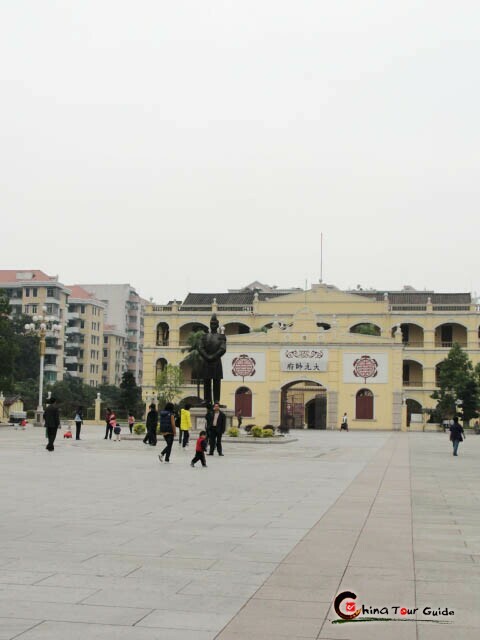 The front gate of the memorial hall is a construction without girder. 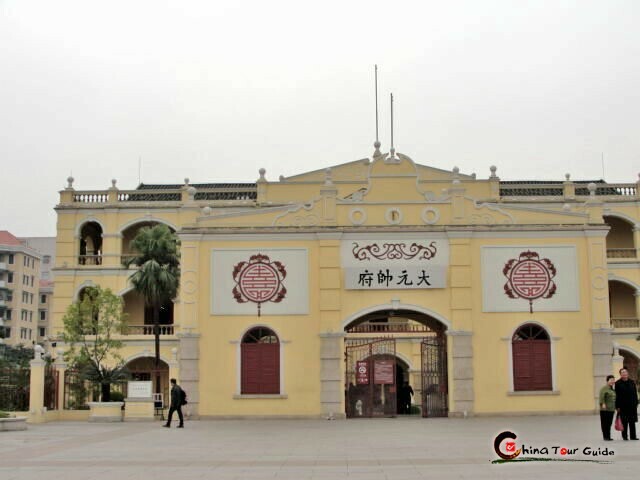 It has three arches with iron doors in bright red color. 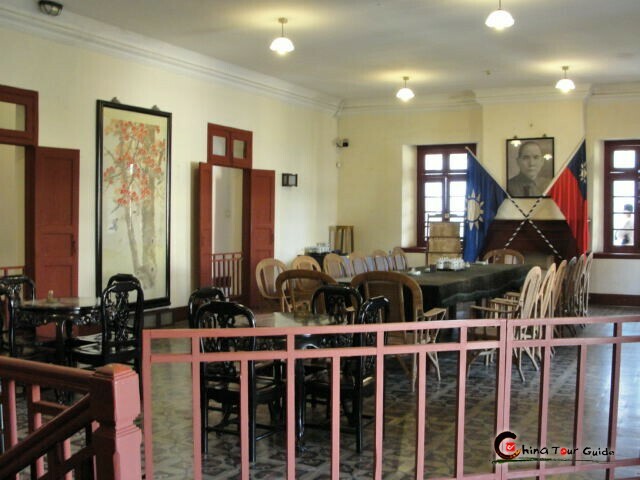 The bouncing walls extend from the two sides of the gate and surround the memorial hall. The ornamental column seats magnificently to the sky. 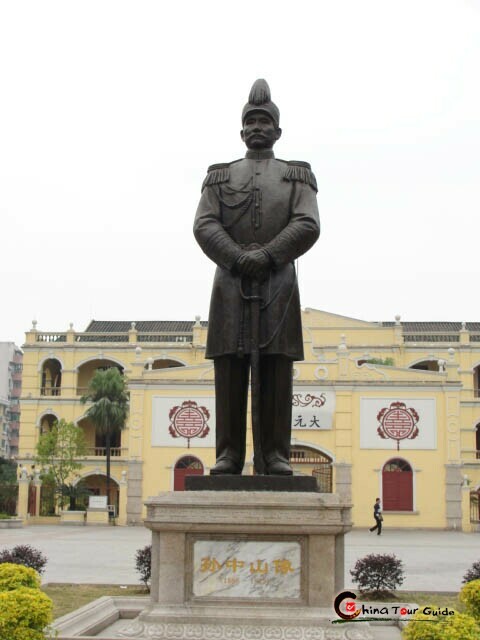 The base of the column, which is in eight-square shape, is over a person's height.